A new report published by Public Health England titled “Legionnaires’ disease in England and Wales 2013” has highlighted the disproportionate number of cases of this potentially deadly bug affecting Londoners. During 2013 London recorded over 20% of all cases of Legionaires’ disease, however, the potential for a problematic outbreak of the disease in the city has been highlighted before. In 2012, a leaked report from the Health & Safety Executive (HSE) said that London was at risk from a ‘catastrophic’ outbreak of Legionnaires’ disease. The reason for this, the report stated, was that there was a poor management of evaporative condensers and cooling towers near the then forthcoming London Olympic venues and busy transport hubs. The HSE report contained details of its inspections in the area at 62 sites around the city, which were done as part of London’s preparations for the 2012 Olympic Games. The sites were all within 2 kilometres of major travel hubs, such as St Pancras and London Bridge stations and London City and Heathrow airports. Staggeringly, at over 70% of the sites, the health and safety measures were found to be of an insufficient standard, which meant that they were not being effective as they could be in preventing an outbreak of Legionnaires’ disease. All sites identified were served with enforcement notices or verbal/written advice. According to the new study published in October 2014, Legionnaires’ disease in England and Wales 2013’, things still aren’t looking too great for London. In 2013, there were a total of 384 cases of legionellosis reported in England and Wales, with 284 of them classified as confirmed cases of Legionnaires’ disease. Of this number, 58 were in the London area, which represents just over 20% of all Legionnaires’ cases. Worryingly, this is up on recent years, with 26 cases in 2011 and 40 in 2012. The Legionnaires’ Disease in England and Wales 2013 report doesn’t make any conclusions as to the reasons why people in London are at a higher risk of contracting the disease. However, when read in conjunction with the 2012 HSE report, it would suggest that compliance with the law is still a problem in the London area. Organisations need to be more aware of the risks that legionella poses to them, their staff and those around them. In addition to the public health issues that this potentially deadly bug can cause, they should also be aware that it is a legal requirement that they take appropriate precautions to control the risks associated with legionella and Legionnaires’ disease in their buildings. A failure to comply with the law may have serious consequences and could lead to prosecution and civil action. The findings of the latest Public Health England report highlights the fact that there is still work to be done to protect Londoners from the effects of Legionnaires’ disease. Although outbreaks are fortunately fairly rare, the ramifications are real and can be devastating to those involved. It is essential that business owners, landlords, property owners and those responsible for managing properties satisfy their legal obligations to ensure that legionella is not ignored and left unmanaged within their properties. Fortunately, it is relatively easy to implement risk management controls to ensure that the bacteria does not get a hold. UK tenants and businesses require complete compliance in this area which is why those that fail to comply with the law can face hefty fines and civil action. 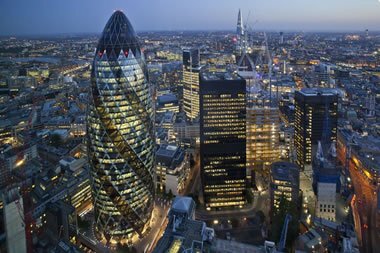 Legionella Control International, as part of it’s ambitious expansion plans now have a central London office to serve clients in the London and South East areas. With a dedicated team of experts, we offer the capital the very best specialist legionella risk management and compliance services, encompassing risk assessments, training, compliance auditing, expert witness and litigation support, water testing, facilities management services and more.